Fruit & Flowers – Out Of Touch. 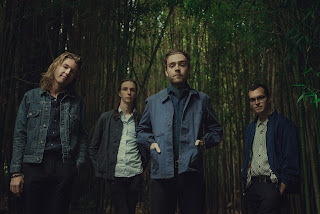 Background - Brooklyn-based "surf noir" garage psych band Fruit & Flowers announce their debut EP, Drug Tax, due out June 30th via Little Dickman Records. Fruit & Flowers are one of the most active bands in the NYC area, and have been deemed one of "NYC's Hardest Working Bands" by Oh My Rockness. The band embarks on its third tour of 2017 in July to Canada and the Midwest in support of Drug Tax. 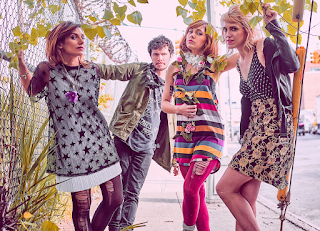 Fruit & Flowers' exuberant, electric performances draw a local following. Ana Becker's angular, expressive guitar style and Lyzi Wakefield's gritty rhythmic backbone merge a post-punk heaviness with psychedelic warmth. Committed and charismatic front woman Caroline Yoder summons a fervent energy, surrounded by distinct, warm and refreshing three part harmonies, the bedrock of Fruit and Flowers' sound. 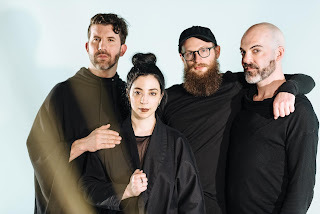 Background - Humble Fire’s second album Builder (out July 14) explores physical and emotional experiences around loss and reconstruction, from family deaths and failed romances to the shocks and stresses they have navigated as a band. Through those experiences, they’ve come to appreciate that reconstruction isn’t something you can tackle on your own: it requires an entire crew. Builder, then, is as much about that process of putting yourself back together, as it is about the relationships that can help or hinder that process. Since Humble Fire’s members have known each other over the past five or so years, they’ve all shown up for each other in different ways as part of that reconstruction crew. They’re lucky to have found family in each other in that way. Edie Green - Smalltime Viticulturist. 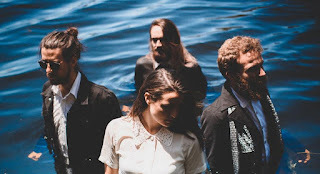 Background - Influenced by the diversity of artists such as Hiatus Kaiyote, The Pixies and Radiohead, Perth indie-rock outfit Edie Green have put forth their swirling second EP The Sea It Binds You, featuring new single Smalltime Viticulturist. Lovingly crafted by four kindred souls and expertly captured by engineering guru Dave Parkin (Jebediah, Abbe May), the final product is a tantalising swirl of fuzzy riffs, world and jazz inspired beats, topped with sweet and sultry vocals - designed to quicken the heartbeat and sooth the mind. Background - Pascoe is an artist from the isolated streets of Sydney’s day-dreamy suburbia, where small town gossip meets city seclusion. Pascoe is excited to announce the release of her debut single ‘Lorelei’, an introspective narrative of a ruined woman. After finishing up her music degree, she decided to focus on developing her songwriting. The 22-year-old songstress has been collecting dark tales and crafting them into melodies, capturing an honesty for the mechanics of the human mind. 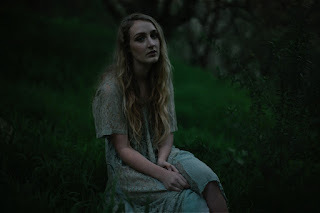 Seductive synth and thundering drums come together in this brooding marriage of folk and pop to support Pascoe’s sweet vocal as she tells the story of the forlorn siren Lorelei. During a storm driven blackout, she was moved to write about the seductress and the tragedies that befell her lovers. The Lovely Days - Mornington. Background - “Arms Wide Open is a new collection of songs about welcoming the power of possibility into your life. It explores hopefulness, vulnerability, openness & retreat; but learning how to deal with life’s uncertainty and that it doesn’t always go the way we plan." Tennyson Nobel (Vocals/keyboards). Like many bands, The Lovely Days started in a garage but with a bit of a difference– brothers Holden and Tennyson Nobel were only five and seven at the time. Most days, they squeezed in behind the Mitsubishi to learn their chops from their songwriter Dad. It was the start of a mad, musical immersion - Mozart one day, McCartney or Radiohead the next. 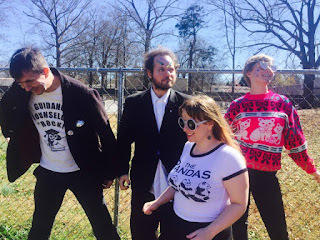 Background - Tunabunny release second new track in three years "Blackwater Homes" and announce the pre-order of their 5th album also a double "PCP Presents Alice In Wonderland JR" released June 23rd on HHBTM Records. PCPPAIWJR creates a universe of sound, music for the internet age. As our access to music expands, its entire history sits at our fingertips just waiting to be heard. Just waiting to inspire, this is the future of music—a glorious eclecticism that results in something original and urgently now. You can hear echoes of T Rex, Slits, Electrelane, Chills, Human League, John Cage, John Cale, GBV, Beefheart, Ono, Eno, Fine Young Cannibals, Fleetwood Mac, Luc Ferrari, Bananarama, ? and the Mysterians, Smiths, Syd Barrett, Sun Ra, and on, and on. Hanne Hukkelberg - The Whip. Background - One of Norway’s most acclaimed, influential and vital artists, Hanne Hukkelberg returns in extraordinary form, with her first new single in five years — ‘The Whip’. Self-produced by Hanne herself, ‘The Whip’ is a complex, schizophrenic four minutes of supremely intelligent pop music. 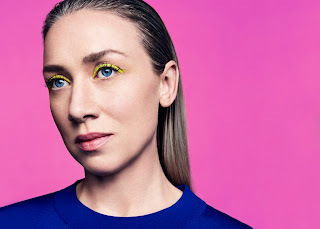 This will come as no surprise to fans of Hanne’s previous work, with the new single bringing her sound right up to date — sounding more relevant, and just as intriguing as ever, aligning with the electronically manipulated tendencies of modern pop music. ‘The Whip’ signals Oslo based Hukkelberg’s forthcoming fifth album, joining a nationally adored and internationally acclaimed back catalogue including ‘Featherbrain’ (2012), ‘Blood From A Stone’ (2009) and Norwegian Grammy Award-winning debut LP ‘Rykestrasse 68’ (2006).